Rural House in Lougares-Mondariz. Pontevedra, Galicia. 36876 – Pontevedra, Galicia, España. Full house booking (capacity for up to six people). Check out for discounted rates for longer than 3 nights. The minimum stay is six nights during the months of July and August and the booking will be for full weeks. In Spanish public holidays, the booking shall coincide with the full period. 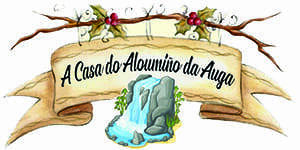 The booking will be at least for three nights on New Year´s Eve period. The booking will be at least for three nights on Easter period. The occupation and stay rights in the rural house by the guest will begin at 15.00 hours of the first day of the contracted period and it will finish at 12.00 hours of the check- out date. If the booking is cancelled with more than thirty days in advance, you will be refunded 100 % of the prepayment requested. If the booking is cancelled between 30 and 7 days prior to the date of entry, it will be refunded back 60% of the total prepayment sum. If the cancellation is made less than 7 days in advance, the prepayment will not be returned. If the customer is already staying in The Rural Tourism House and decides to partially cancel the booking, the establishment has the right to charge a 40% sum of the total number of days that have been booked and remain unoccupied in that circumstance. For any doubt or query in this regard you can call the PROVINCIAL TOURISM INSPECTION OF PONTEVEDRA at 986 80 55 20.